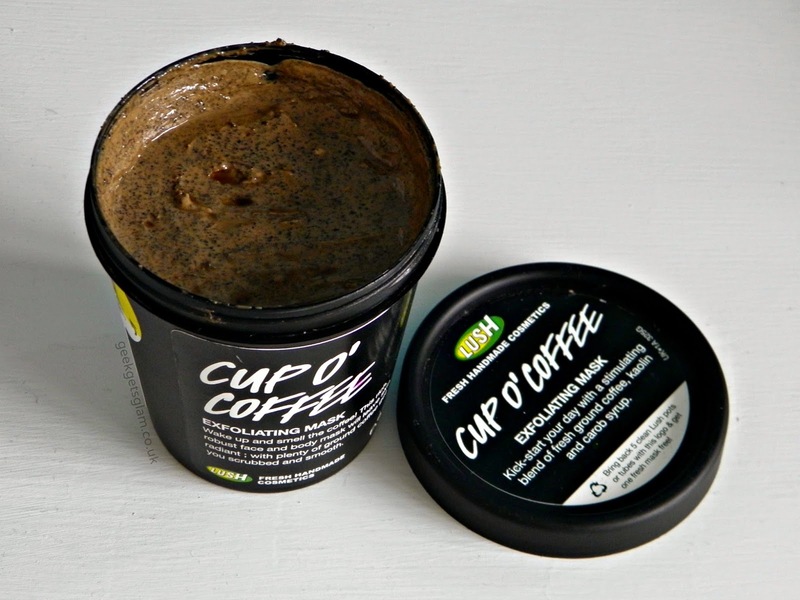 I have been waiting for Lush's Cup O Coffee face mask for almost a year. They teased with the coffee-packed product in their last issue of the Lush Times (their catalogue of the shop) and since then I've been itching to try it out. But, it never came out in stores leaving many of us confused and disappointed. Well better late than never, the face mask was launched at their new Oxford Street store and I grabbed the biggest size possible! When I picked it up in the shop, the smell of the face mask grabbed me. It smells just like a fresh cup of black coffee and is perfect for those who love coffee! The mask itself is kind of the sticky side. You can layer it up but it's not as thick as my usual choice for face masks. I'm guessing this is because it has more of a syrup base rather than a mud base but it's not a deal breaker, it just looks a bit questionable on your face and it's quite sticky and messy to apply. the plus side to this is the massive pot goes a long way, you can see I've barely dented it and I've been using it twice a week, so it's great value for money. When I had the mask on I couldn't really feel anything. It smelt fantastic but I couldn't tell if it was actually doing anything for my skin. It didn't dry either which made it hard to tell when to wash it off (I like to wash my masks off once they have gone rock hard but that's just personal preference). When I did wash it off I was amazed at how good the scrub was. It's a natural scrub made of fresh ground coffee and it feels amazing on the skin - it's great for a deep scrub action and is so invigorating! After using Cup O' Coffee, my face felt so smooth and it looked healthier. It did look more plump and like it had some kind of life to it rather than the tired mess I quite often look haha! Although the texture is little different to my usual, I do really like this product. It's perfect for a pick me up treat during the week and it was totally worth the wait for me! I really hope they sell this in all Lush stores soon because it's such a lovely little treat.